. . . the only medium that engages all five senses. Smaller version for home fragrance. No soot from wicks and no flame to worry about. Kit includes a 4 oz. 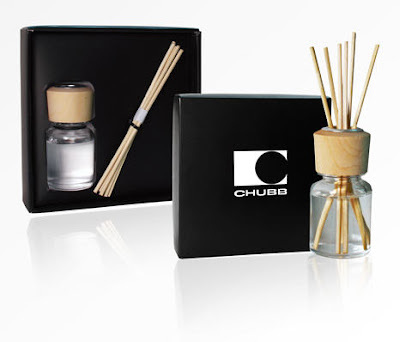 glass container with Ocean (clear), Citrus (yellow), Pomegranate (clear) or Vanilla (clear) scented oils, as well a 6 bamboo reeds. Glass is 3" tall. Promotional Products have been my passion since 1972, creating promotional excellence for businesses, stores, clubs, churches, schools colleges and universities, and non-profit organizations. I am showcasing new, different and unique products from the Promotional Products Industry which in 2018 had sales of over 22 billion dollars. Every year thousand's of new promotional products, wearables, awards and gifts, most of which are imprintable, are offered by more than 3000 suppliers from around the United States and the world. Our largest show, the PPAI Expo, takes place every year in January where a great majority of the new products are introduced to the industry. an $24+ billion industry and include wearables, writing instruments, calendars, drinkware, techy items and many other items, usually imprinted with a company’s name, logo or message. the only medium that engages all five senses. Customers can see, hear, touch, taste and even smell them. Plus, promotional products are easily affordable; yet their impression is long-lasting and readily measurable. Make promotional products an integral part of your marketing mix and watch clients grab onto your message. 76.1% of respondents could recall the advertiser’s name on a promotional product that they had received in the past 12 months. In addition, 75.4% of respondents said they kept their promotional product because it was useful. Take advantage of an advertising medium with a proven track record, one that easily out shines its competitors. 2019 KelseyPromo.com. Simple theme. Powered by Blogger.